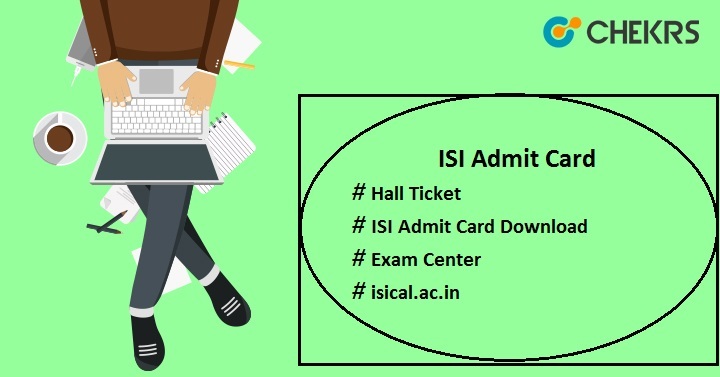 ISI Admit Card 2019: ISI Admission Test is a national-level entrance test conducted by ISI (Indian Statistical Institute) to offers admission to its campuses located in Kolkata, Delhi, Bangalore, Tezpur, and Chennai. To get admission in various UG, PG, PG Diplomas and Research Fellowships programmes, it is necessary to appear in the ISI Admission Test and also qualify the exam with cutoff marks. Candidates, who applied for the ISI entrance exam, can download their ISI Hall Ticket. The official authority will release the admit card on its official website. Applicants can get it through online mode only. They will be notified on their registered mobile no or email id about the admit card release date. Here we have mentioned the complete information related to ISI admit card like how to download it, release date of hall ticket etc. ISI exam will be held in the month of May 2019. ISI Entrance Exam Hall Ticket will be issued by the official authority 1 or 2 week weeks prior to the examination. As the official date of exam is not announced yet, so the ISI Admit Card Date may change according to the exam schedule. Only those candidates will be able to get it, who will submit the application form along with fee on or before the deadline. It is mandatory to carry the admit card as it include the details like candidate’s name, reporting time, exam date, applied course, test center, roll no, photograph, signature etc. Click on the option “Admission” available on the left side of the home page. A new page will open, search for the admit card link in the announcement section. Click on the given link for admit card. Enter the login credentials like Username & Password and submit it. ISI Admit Card will be displayed on the screen, download it. Take the print-out of the downloaded ISI admit card. Here we have listed important instructions for all the candidates who are going to attend the ISI entrance exam. Candidates must verify the details provided over the ISI Admission Test Hall Ticket. In case any discrepancies, candidates should contact to the authority immediately. Don’t forget to bring the admit card of ISI during the exam. No one will be allowed to enter the examination hall without the hall ticket. Candidates can also get duplicate admit card, in case they lost their original ISI admit card. Read all the important instructions written over the admit card before appearing for the ISI Admission Test. Take 2 more copies of print-out of admit card and keep it safe till the admission procedure is finish. Reach at the allotted exam center on time as mentioned over the ISI hall ticket. We hope that all information provided here will be helpful to you. In case, candidates face any problem while downloading the admit card can ask their query by commenting in the comment box. We will try our best to sort-out your problem. Best Wishes for ISI entrance Exam 2019.